Prosecutors in the U.S. college cheating scandal have now indicted 16 parents, including actor Lori Loughlin and her husband, Mossimo Giannulli. They continue to aggressively pursue convictions in the biggest admissions scam the U.S. has ever taken on. According to Bloomberg, in addition to conspiracy to commit fraud, the parents now face an additional charges of conspiring to launder the bribes and other payments they may have made to the admitted mastermind of the scheme, the U.S. attorney in Massachusetts said Tuesday. 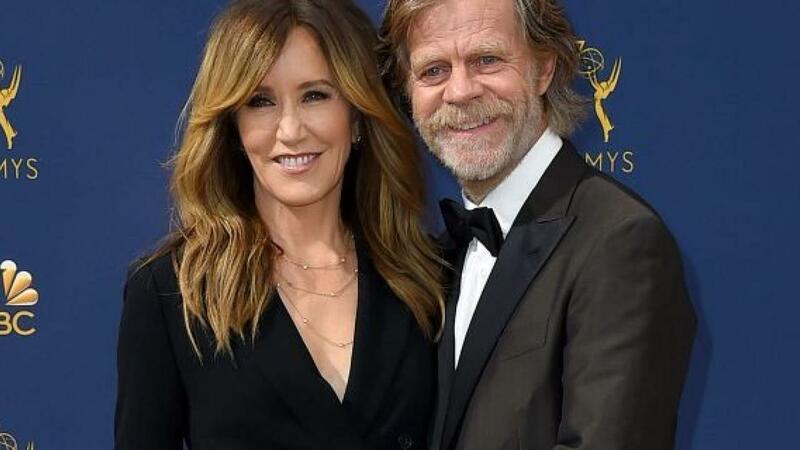 Just yesterday, we reported that actress Felicity Huffman and 13 others agreed to plead guilty in the scandal, signaling that prosecutors were aggressively wresting deals from the wealthy parents. The 16 are now among 50 people accused by Boston federal prosecutors of engaging in schemes that involved cheating on college entrance exams and paying $25 million in bribes to secure their children admission at well-known universities. Federal prosecutors announced the deals on Monday afternoon, identifying the parents and a University of Texas men’s tennis coach who have negotiated plea bargains. It’s not yet clear what their sentences will be: according to one New York lawyer, Huffman and Lori Loughlin could end up serving time in prison for their alleged involvement in the high-profile college admissions cheating scandal. Last Wednesday, the Full House and Desperate Housewives stars appeared alongside other wealthy parents in U.S. District Court in Boston for the first time since they were charged in March. During their preliminary hearings, they were both read the federal felony charges they face after their arrests in March: conspiracy to commit mail fraud and honest services mail fraud. And while the charges carry a potential maximum sentence of five years for each actress, it is more likely that as a result of the plea deal, the celebrities will avoid prison time and be slapped with substantial penalties instead. We have been following the admissions scandal at length. We recently wrote about how financial speaking gigs and elite high schools helped facilitate the scam for years. As a result of the scandal, UCLA's Men's Soccer Coach and former U.S. Men's national team player Jorge Salcedo recently resigned from his position at the university. We also wrote about how students were being encouraged to fake learning disabilities in order to cheat on college entrance exams. We also profiled one Harvard test-taking "whiz" that was responsible for helping students at the center of the scandal get high scores on admissions tests. Prior to that, we reported on the tipster who gave the SEC the lead on the admissions scandal. He was in the midst of being investigated for a pump and dump scam at the time. Hilariously, just days ago, we noted that parents charged in the scheme were seeking out "prison life consultants" to find out what life is like in the big house. Perhaps the newly released Jeff Skilling could offer some advice?